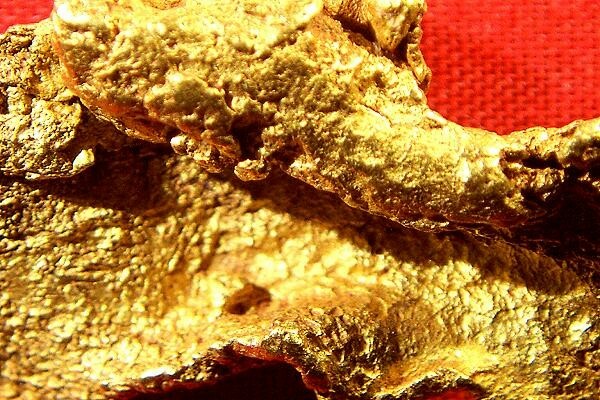 This is an unbelievably rare Hand Selected Jewelry Grade Natural Gold Nugget from Australia. It is truly a rare geological oddity. It is another nugget that I have had in my personal collection for over 15 years, surfacing now for the first time for sale. 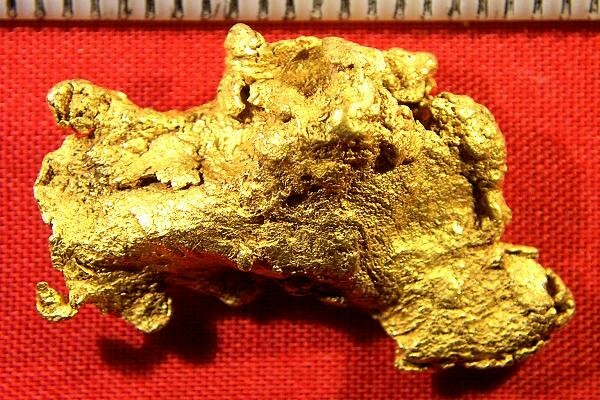 I have had several other "Folded Gold" nuggets over the years, but this is the first nugget that has folded and rolled gold. 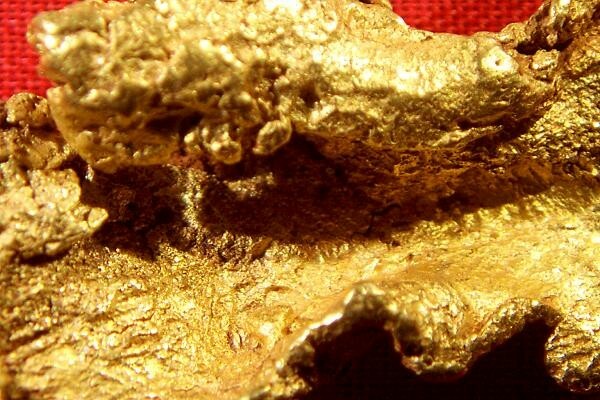 This entire nugget is like thick plate gold, but the gold has been rolled and folded by nature into an extremely beautiful and interesting gold nugget. The photos don't do it justice. 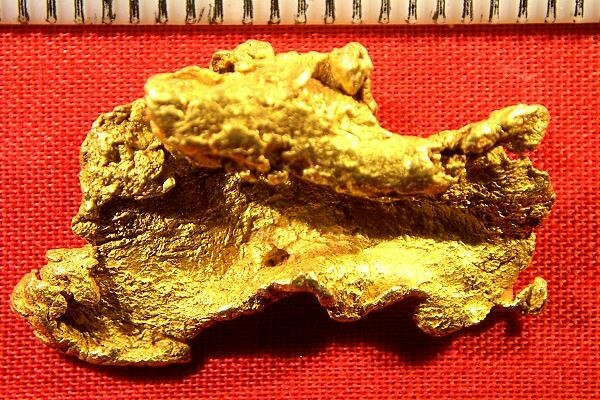 The weight of this rare gold specimen is a hefty 9.4 Grams. It feels and looks great in your hand. It is 1.25" (30 mm) long. This nugget was hand selected by me from a very large collection. It is very pure (I estimate 94% to 98% pure) which you can tell by the color. This is a super rare and beautiful gold specimen.